Café Del Mar….I had longed to go there. One of the greatest gifts of travel…exposure to new things, new cultures, new foods, new music, different points of views, life lessons that can’t be taught in a classroom or learnt from a book. Two years living in Europe many moons ago, and I fell in love with the idea of going to Café Del Mar, a trendy café and music emporium located in Ibiza, a party island found of the Spanish coastline in Mediterranean sea. But truth be told……I would not have survived a day on this party island. My catholic upbringing insured I was too inhibited for such hedonistic fun. Fast forward 12 years….times have changed…I am ready! 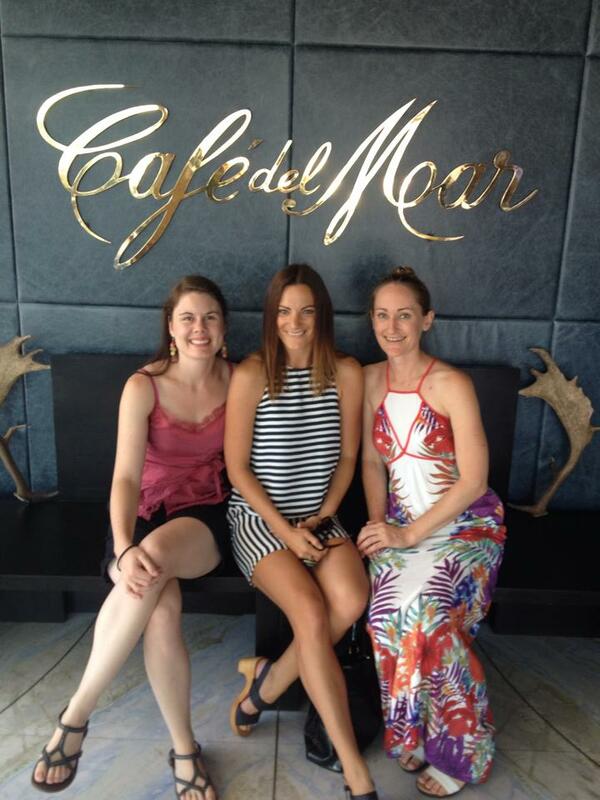 Armed with two of the bestest girlfriends I could ever want, Ms Kate and Ms Steph, we ascended on Café Del Mar, Sydney City. Us girls would have a good time anywhere….location, location, location is so secondary when I catch up with these ladies. And whilst the view was stunning, the food and drinks spectacular and the Sunday session tunes very smooth….I could not help but think that this experience was a bit dated….If I had only jumped on a plane all those years ago and dived head first into the Ibiza party scene I might have well avoided yesterday!! No, I wouldn’t change a thing……yesterday was special, a great catch up……location irrelevant. And it wasn’t till I reflected on the lunch later that evening that I was overcome with the strangest realisation….I had never really wanted to go to Café Del Mar at all…..rather its rival, the Buddha Bar in Paris.